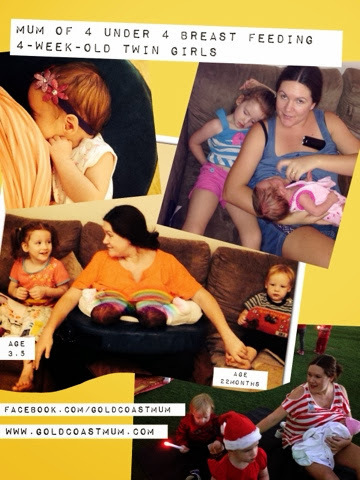 A prime example of my experience breastfeeding my almost-4-month-old twin girls, lol. 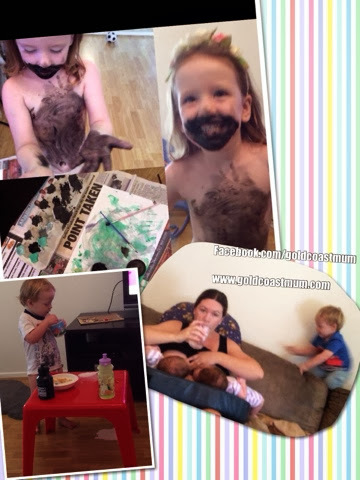 My 3yo decided to paint herself a beard and moustache (& hairy chest) while I was feeding the twins yesterday. (We had been painting together until that point when the twins woke & were ready for a feed). And recently, my 2yo took the opportunity to spill the milk from his breakfast all over the floor in front of me while I was feeding the twins. It has certainly been a challenge to continue being able to breastfeed twins so often as well as keeping two active toddlers entertained (& nearby & out of trouble/within reach).